Small sedans are quickly becoming a thing of the past, with many automakers dropping them entirely from their lineup. That said, Nissan is bucking the trend by introducing a redesigned Versa for 2020 and it looks a lot like the new Altima. Nissan leveraged the Tortuga Music Festival in Florida to show off the 2020 Versa, which is completely redesigned with a look that is effectively a shrunken down Altima. These means there’s a new V-motion grille design up front, which adds far more excitement to the Versa’s face than the outgoing model sports. 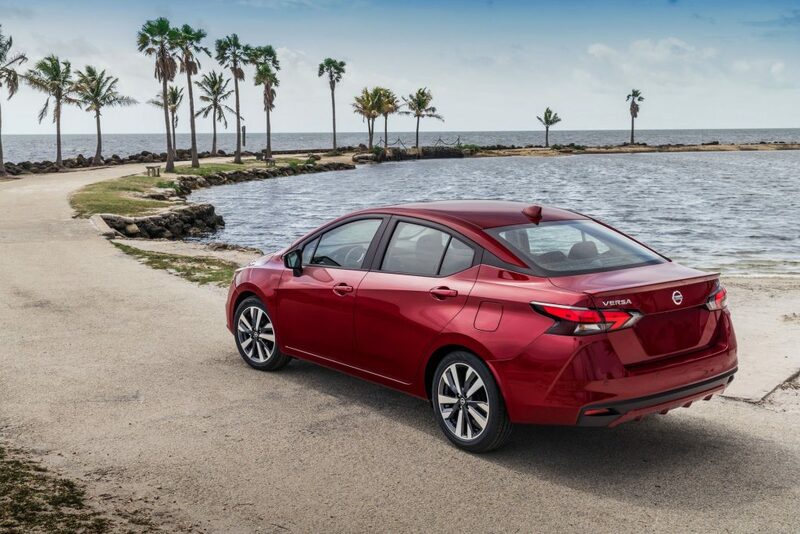 Versa has also gained a floating roofline, similar to that of the Maxima. This is the first time an automaker has placed this trendy design cue on such a small car, so it is likely to be an attention-getter. One of the most dramatic changes has occurred inside the Versa. 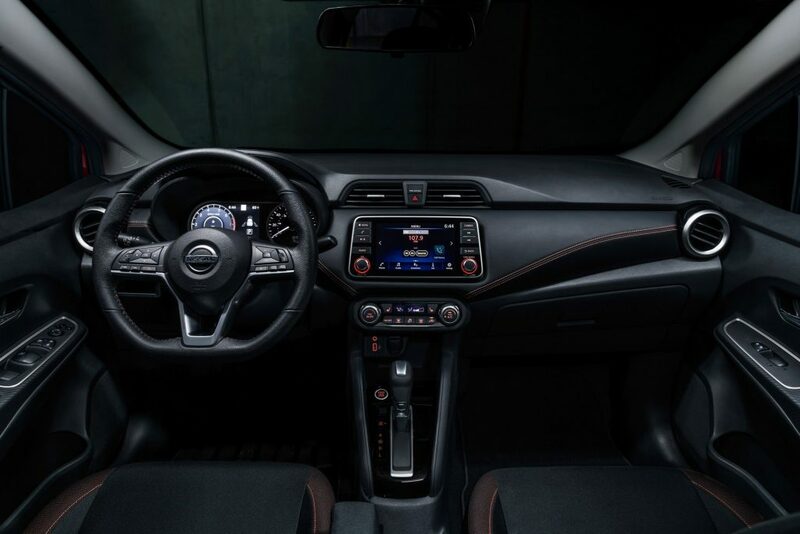 The car has ditched its rather pitiful interior design in favor of one that looks more grown up and offers modern amenities, such as a large touchscreen display that houses support for Android Auto and Apple CarPlay. Nissan is also equipped with the Nissan Safety Shield 360 suite of driver assistance systems. It includes Blind Spot Warning, Rear Cross Traffic Alert, Intelligent Driver Alertness and Intelligent Cruise Control. The suite of safety features can be added on top of standard features such as Automatic Emergency Braking with Pedestrian Detection, Rear Automatic Braking, Lane Departure Warning and High Beam Assist. While the design inside and out is all-new, what’s under the hood isn’t. Nissan is sticking with the same 1.6-liter four-cylinder powertrain, but it has been upgraded to 122 horsepower and 114 pound-feet of torque; a slight increase over today’s Versa. Nissan is also maintaining the current five-speed manual gearbox, supplementing a revised CVT automatic. 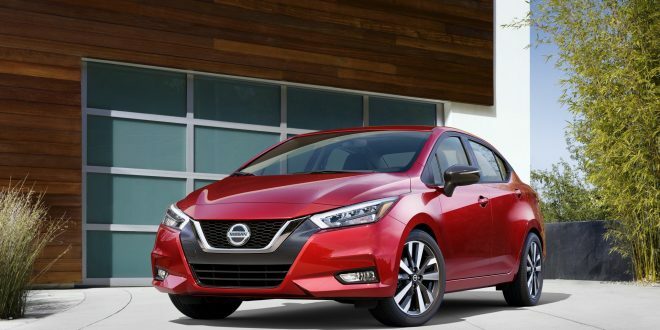 The 2020 Nissan Versa will go on sale later this summer. Expect pricing details closer to the car’s launch. Given this is the only redesigned sub-compact sedan in the segment, expect pricing to be on the mid to high range of the segment.